Tight on money after the Christmas season? Who isn’t! There’s a reason most of us get the January blues. But what if we told you that eating packed noodles seven nights a week isn’t the only way to save up? You can actually save a considerable amount of money on fuel by changing just a few things about the way you drive. We’ll let you in on a few tips on how to save money on fuel. The polar bears will thank you too! It’s a new year full of new beginnings – a great timing to kick your bad habits! If you’re serious about this, you need to start paying more attention to the small details in your driving style. Do you often let your mind wander when you’re behind the wheel? Think about your weekend plans, and forget to keep an eye on your speed? This needs to change if you want to see a real change in fuel economy. Make sure you’re driving at a steady speed and anticipating the road ahead, as accelerating and braking sharply wastes fuel, and money. It’s of course acceptable to brake sharply when necessary in order to prevent a collision but it shouldn’t be part of your daily driving style. Go easy on the pedal – for safety, but also for your wallet. Not only does rapid acceleration and braking waste fuel, but also speeding above 60 mph can be harsh on your fuel consumption. There’s a specific driving technique called hypermiling, which makes your car ‘flow’, driving at an optimum speed but adjusting to the road ahead. Try get into the habit of using high gears – drive on the highest gear possible without the car ‘labouring’ or struggling to keep going. Changing gears quickly, by skipping a gear while shifting, can save a significant amount of fuel. Make as little adjustment as possible to regulate your speed. Plan your journey in advance so you’re not doing more driving than you need to while trying to figure out where you’re going. When on the road, make sure you anticipate what’s to come. Remember: stopping and starting constantly can use up more fuel, so leave a safe gap between you and the car in front. Regular maintenance improves the efficiency of your car. Make sure you check your tyre pressure on a regular basis, as under-inflated tyres need more force to turn and use up more fuel. The condition of you brake pads also has an impact. It can get cold or hot waiting for someone in a parked car, but as long as your car engine is running, it’s using up fuel. Turn your engine off, if you’re parked up, to prevent wasting fuel. On average, every 50kg will increase your fuel consumption by 2%. This is relative to the vehicle’s weight, so smaller cars are more affected by increased weight. Avoid storing unnecessary items in the car or carrying heavy items on your roof. It increases wind resistance lowering fuel economy. Starting your engine off cold several times increases fuel consumption even if the total miles you drive stays the same. Try to combine your trips where possible and make round trips over separate short trips. 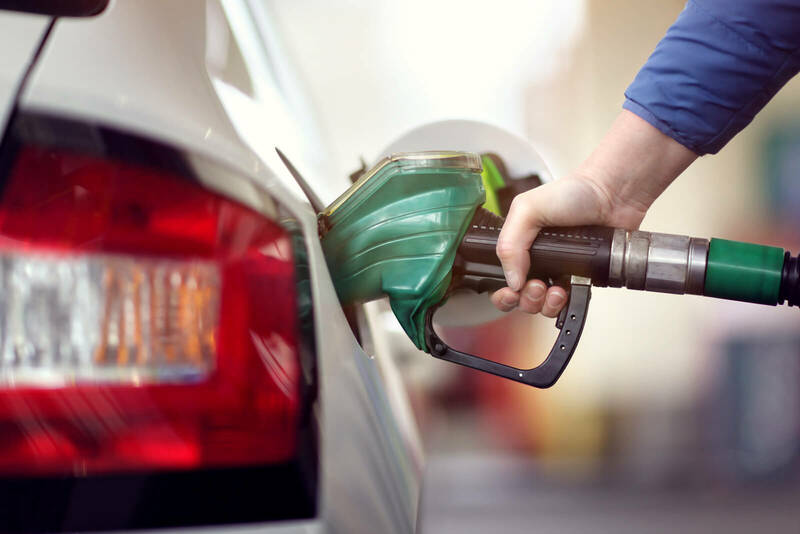 It might sound like a lot to consider but make this your new year’s resolution and with time you’ll notice a considerate difference in the amount of money you spend on fuel. Let us know how you get on through our social channels – click below.